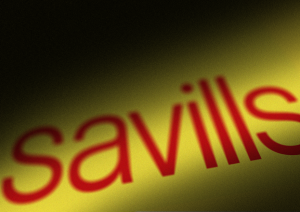 Savills, the agent representing Grainger Plc, wrote to SODC on 24th July 2015 with a request for a “screening opinion”. We note that the date was a fully week prior to the closing date for public comment on their scheme. A clear indication of how much notice that they intend to take of public opinion. This entry was posted in EIA on 31st July 2015 by Mind the Green Gap. Did you see the Grainger ad in this week’s Didcot Herald? Have you seen the poster about their plans on their land? This entry was posted in Grainger's Consultation on 30th July 2015 by Mind the Green Gap. So in 2013 Grainger plc published an expensive looking, glossy document full of fine words. It was called “Creating Value from Our Values”. It defined they way they did business. You can bet that SODC were given a copy. You can download it on their website. 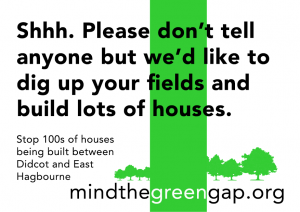 This entry was posted in General on 30th July 2015 by Mind the Green Gap. Grainger is saying ‘no’ to re-running the exhibition at Fleet Meadow Community Centre for the benefit of residents living in Millbrook and Northbourne. Grainger is saying ‘no’ to extending the deadline for comment from this Thursday. This entry was posted in Grainger's Consultation on 27th July 2015 by Mind the Green Gap. 148 people attended an Open Meeting in East Hagbourne Village Hall on the 23rd July. The overwhelming majority were very unhappy at the prospect of hundreds of houses being built between the Didcot and East Hagbourne. Thank you to everybody that made it to the meeting. If you were not able to come you will be pleased to know there will be more meetings to come. 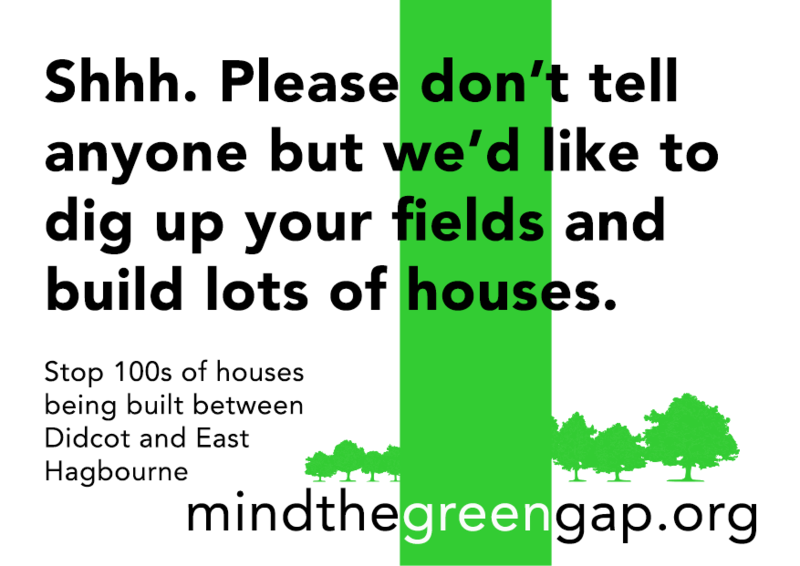 This entry was posted in Campaign Activity on 27th July 2015 by Mind the Green Gap. Welcome to the Mind the Green Gap website. Click on the above links to read more about us. 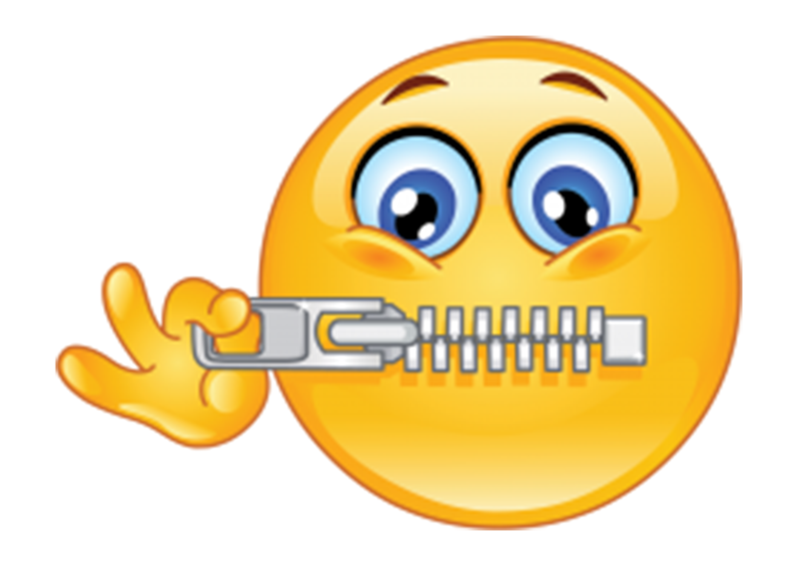 Please excuse our appearance while this site evolves, and please check back regularly to see new content as we add it. And remember – You can’t un-build it! This entry was posted in General on 24th July 2015 by EHagbourne.